Prominent & Leading Manufacturer from Vadodara, we offer pvc foam board for boat building. 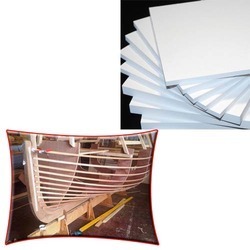 Meeting the demands of customers as a reliable organization, we are providing PVC Foam Board for Boat Building. Advanced technology and modern machines are used in the manufacturing process of these boards to leave no scope for defects. Owing to our distribution network, we are committed to dispatch the offered range on-time.